For a while I've been saying "Wow!" 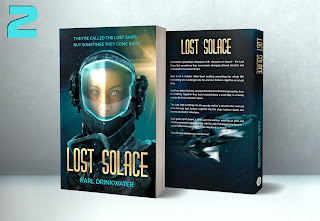 about my cover designer's work on the Lost Solace cover. 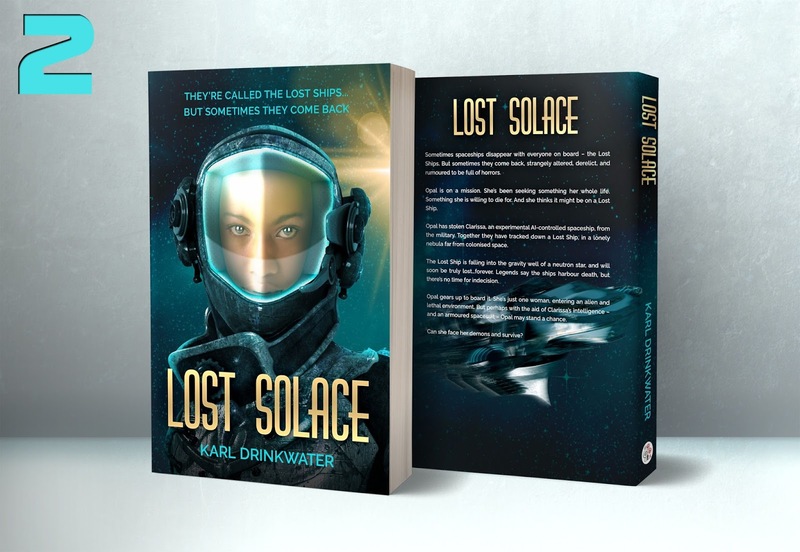 (Lost Solace will be my next release.) 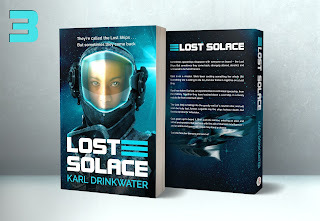 I had seen Matt Hill's work on other books and was really impressed, so the chance to work with him has been great. We've been trying out different things, but as you can imagine, when you are close to a project you dither about every ellipsis spacing, every variant of title placement ... but sometimes it's handy to step back and let other people give their first impressions of different options. So that's what we'll do, with a temporary blog post aimed at getting some feedback on which variants people prefer. Let me just point out that these are draft designs, not finished, so they are not meant to be perfect! But even for drafts I have been impressed with their quality. I've numbered the images - you'll need to click on them to see the larger versions. You can respond in the comments below, but here are some questions to consider. 1. 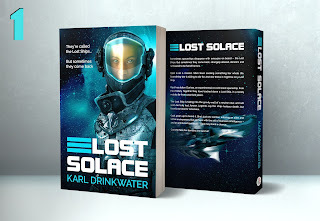 Which title treatment ("Lost Solace") do you prefer? 2. 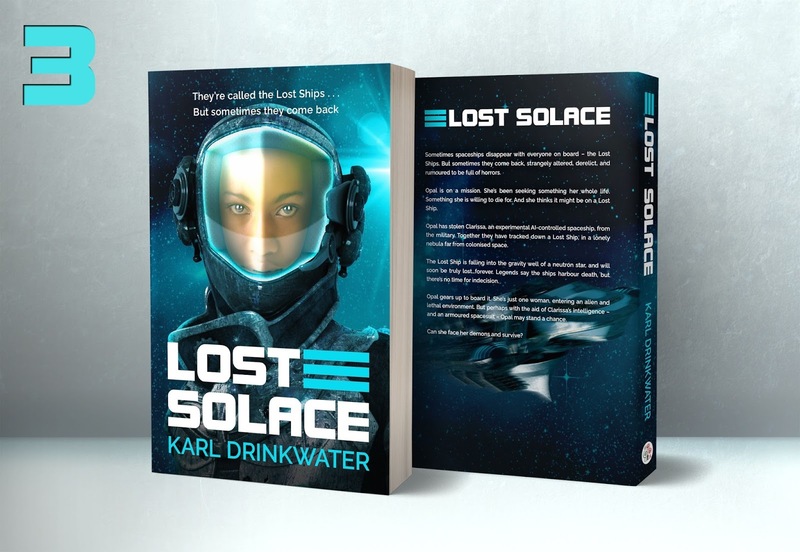 Which tagline treatment ("They're called the Lost Ships" etc) do you prefer? 4. Do you prefer the all blue designs, or like some orange (as in 2)? Can she face her demons and survive? I prefer the title layout in #1, with the stripes on the left; I prefer the tagline layout in #2; and I prefer the face position in #3. Overall I prefer the blue. Very film-advert like.